Coleman Taos Extreme-Weather Mummy Bag now is on sale for $41.07 with free shipping. 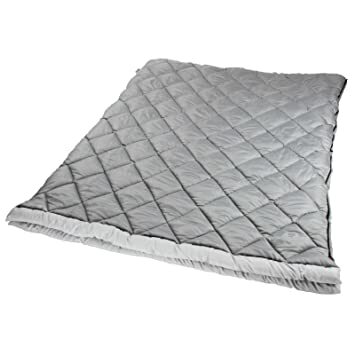 This sleeping bag is Great for cold-weather, keeps you comfortable down to 25°F. 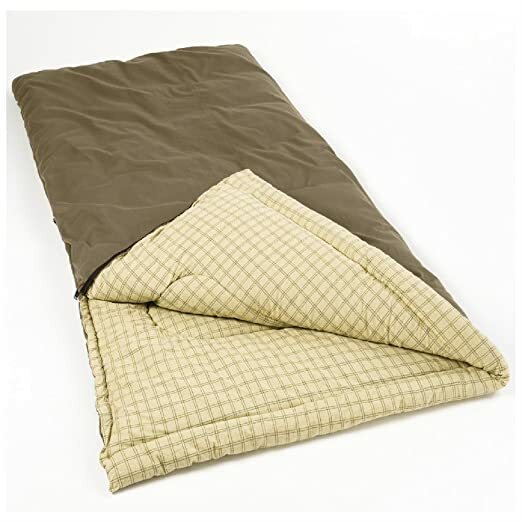 - Mummy-style sleeping bag, 32" x 82", fits most people up to 6'2"
Also this sleeping bag has very good reviews and good for you summer camping. 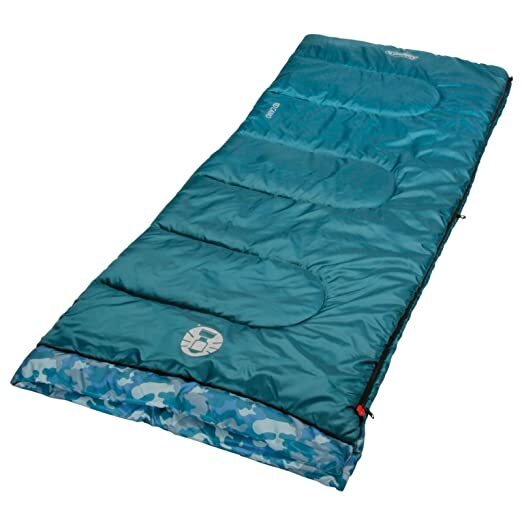 Coleman Dunnock Large Cold-Weather Sleeping Bag 这个睡袋，可以在外面是华氏40度到华氏20度之间保暖的， 适合比较冷的地方宿营时用。 100% 的纯棉， 比较大可以满足 big and tall size的人用。 原价75刀， 现在$49 with free shipping. 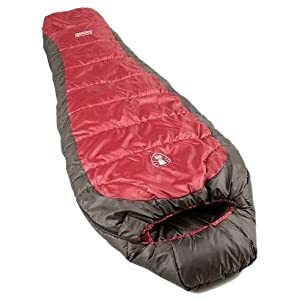 TETON Sports Celsius XXL -18 Degree C / 0 Degree F Flannel Lined Sleeping Bag (90"x 39")睡袋， 可以在零下18度的低温下保暖。 睡袋外面是尼龙布的可以防潮， 里面是 Soft flannel liner for extra warmth and comfort。 原价要120刀， 现在打折$44.98 with free shipping. Walmart.com 现在这个小孩子睡觉用的充气小床垫， Inflatable Nap Mats 打折降价后 for just $9.98 (regularly $28.98). 非常适合小朋友们去别人家 sleepover 时用，方便舒适。choose from Cars, Sofia the First, Minnie, Ninja Turtles and Doc McStuffins. 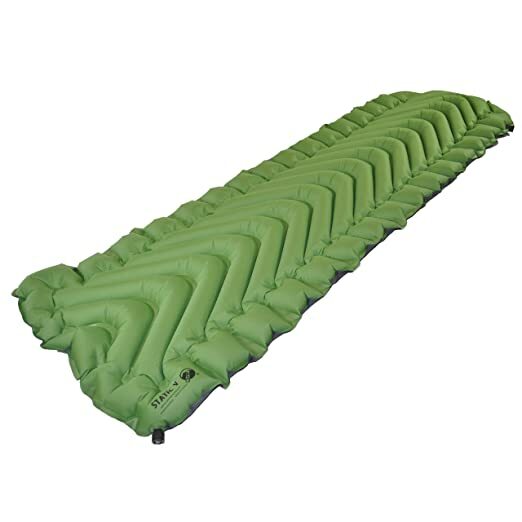 Amazon.com have dropped the price on this very highly rated Klymit Static V Lightweight Sleeping Pad in Green to only $39 (regularly $59.95). Super quick inflation with an estimated inflation time of only 12 breaths, plus ergonomic design provides optimal comfort. Lifetime warranty included. 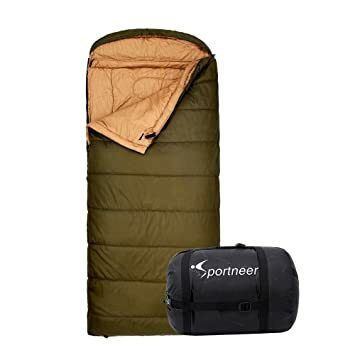 Through February 25th, Amazon.com now Sportneer 18C/0F Sleeping Bag with bonus 94″ x 62″ Compression Camping Sack (fits 1-2 persons) is marked down to $59.99 (regularly $100). 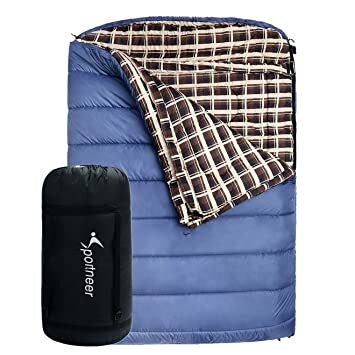 OR, you can buy this Sportneer 18C/0F Sleeping Bag with bonus 94″ x 62″ Compression Camping Sack (fits 2-3 persons) for $109.99. Planning a camping trip? 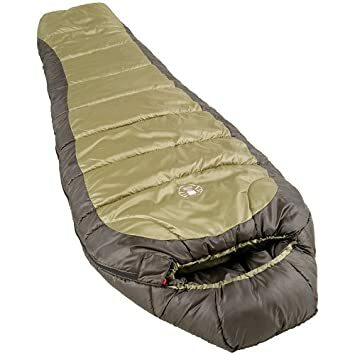 Amazon.com now you can buy this highly rated Coleman Green Valley 40-Degree Sleeping Bag for only $21.99 (regularly $45.99)! This bag offers a special zipper system that forces fabric away from the zipper to avoid snags and helps to reduce heat loss through the zipper; it is machine washable and fits heights up to 5 ft. 11 in. Today only, Amazon is offering up nice savings on Coleman Camping & Summer Items including tents, coolers, airbeds and more. Get free shipping on a $25 order OR free 2-day shipping on ANY size order with Amazon Prime (you can sign up for a FREE 30-day trial here). 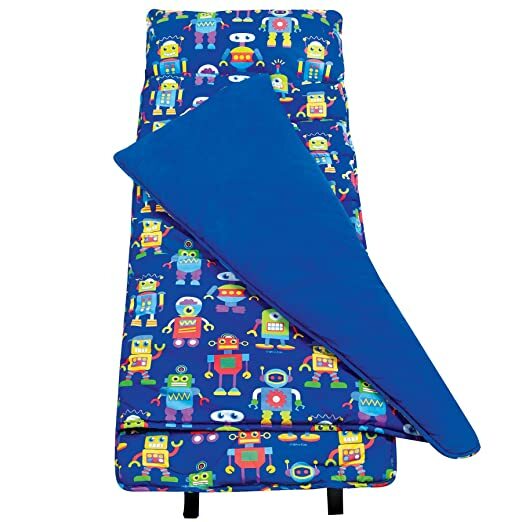 Walmart.com now get this Disney Finding Dory Sleepover Toddler Slumber Nap Mat with Purse and Bonus Eye Mask for just $10 – regularly $24.97. Choose free in-store pick up. This sleepover set is easy for little hands to pack up and carry, so it’s perfect for sleepovers! 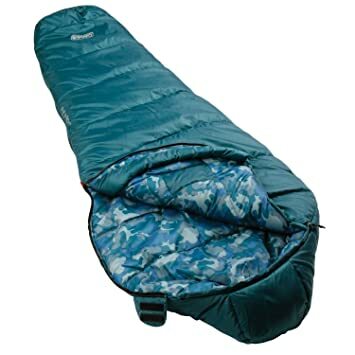 Walmart.com now you can get this Ozark Trail 30-Degree Camo Mummy Sleeping Bag for only $24.35! Free in-store pickup. 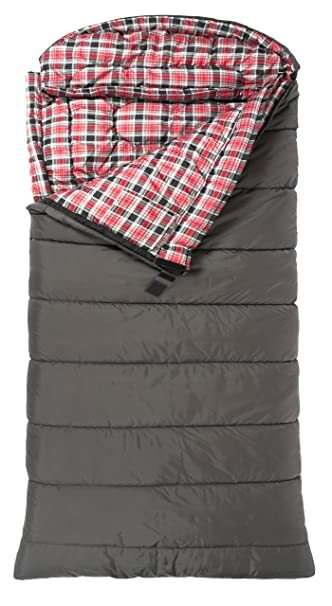 This sleeping bag features two layer construction with off-set stitching to avoid cold spots and also comes with an inner pocket to keep valuable items safe. Today, January 13th only, on Amazon now they are offering up to 35% off Coleman Camping Gear! 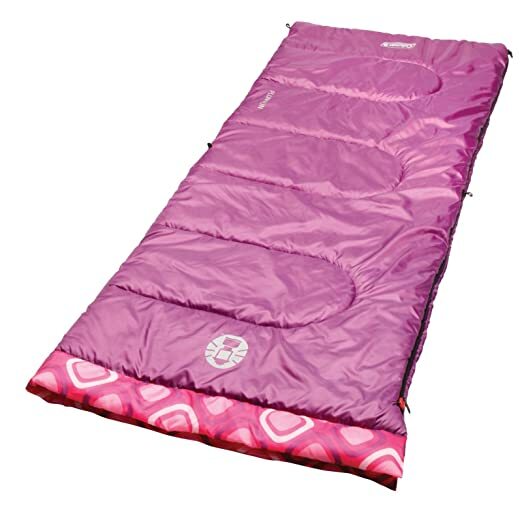 Choose from sleeping bags, tents and air mattresses. Through February 21st, go to Coleman.com and shop their Presidents Day Sale where you can save an additional 25% off sitewide when you use promo code COLEMAN25 at checkout. 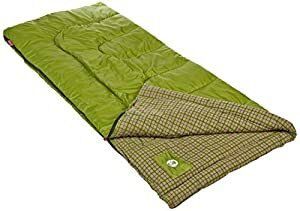 Palmetto Cool Weather Sleeping Bag $24.99 (regularly $34.99), Use promo code COLEMAN25 (save 25%), Final cost only $18.74! 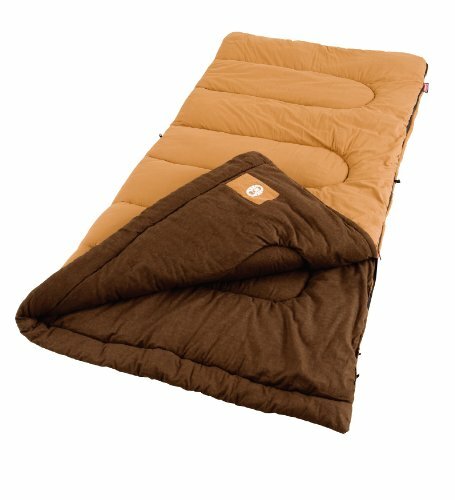 On Walmart.com you can now get this Ozark Trail 10-Degree Adult Thinsulate Wearable Sleeping Bag for only $19 (regularly $38)! Choose free in-store pick up. This sleeping bag can be stuffed into a built-in bag with handles so it’s easy to transport. Take one to a cold soccer game to watch the kiddos play without freezing!